The Lifehouse is a long term recovery program, therapeutic community organization located in Huntington, WV. The Lifehouse is a non-profit organization created to help men and women recover from alcoholism and substance abuse. The homes associated with The Lifehouse solely exist to help men and women in West Virginia continue their journeys of sobriety with the adequate support and services to implement the life stability that is required for continual substance abuse recovery. We are a structured long term faith based accountability recovery program, minimum 8 months long with full time staff. We happen to operate out of 12 residential homes. We have minimum weekly and bi weekly observed lab drug screens. We require all residents to work the the 12 steps and actively work with a sponsor. We've been around for over 6 years and seen many men and women change their lives. We require all residents to not only work through our program and learn how to live clean and sober, we require every resident to be full time employed productive members of society by day 70. We bridge the gap of how to be clean and sober and the actual application of it, therefore when every resident leaves they know how to live in the world while staying clean and sober. The Recovery Center is a getaway retreat for up to 20 men coming out of addiction for 60-70 days. The Farm as it was nicknamed is a big house where the men secluded in Huntington, WV. During this intense initial phase the men are able to get a stabilization 3-5 days with Lifehouse staff (all over 1 year sober) then begin the process of recovery. During this time the men work through twice a day group sessions and coinciding lessons to complete a thorough fifth step of the 12 steps. Statistics show that over 75% of all people who will work through a fifth step go on to finish the steps and stay sober. Also during this phase the men are given pastoral counseling/groups 3-4 times per week. The men are removed from all the negative influences of the outside world only leaving to go to church 4 times per week and 3 supervised 12 step meetings. After completing the farm stage of the program men transition to Fourth Street for a minimum of 6 months giving a minimum of 8 months sobriety. The men’s program houses men from treatment centers detox jail courts prison and primarily farm graduates. A minimum stay at the Lifehouse is 8 months minimum or the Farm plus 6 months. During this Phase the men are required to be part of the full lifehosue plan, process group’s accountability groups level 1 groups, also work through our process of 12 steps, go to 12 step meetings support groups, church optional, get a sponsor, get a job and participate in real life. All residents are required to work at least 25 hours a week, one of the main objectives we focus on at The Life House is to practice social responsibility (responsibility indicates growth). We believe by gaining and maintaining employment, practicing life skills, and working the 12 Steps through local Alcoholics Anonymous/Narcotics Anonymous Programs while learning a new way of life (sobriety), participants will be better equipped to move forward. Is there a Cost for Lifehouse ? We ask all families sending their loved ones to Lifehouse be prepared to cover $500.00 a month for the first 2-3 months in which time we will have them well enough to work full time and cover their own $100 a week. Grace beds otherswise known as scholarships are available when we are capable, apply at 304-429-LIFE or info@thelifehousewv.com . How did the Lifehouse come to be? The first facility of The Lifehouse opened in January 2011 by Raymond "Rocky" Meadows. Mr. Meadows acted upon his desire to see a new long term recovery, sober living option for men and women in Huntington, WV that have recently hit the lowest points of their lives. These men and women have made the decision to overcome an addiction, are starting their lives over after completing a substance abuse program or after incarceration due to criminal behaviors related to drugs and/or alcohol. Mr. Meadows' passion to begin this exciting new program was birthed through his own triumph over addictions and the impact that a relationship with Jesus Christ made in hisown recovery. Mr. Meadows offers a hands-on approach to the men that live at The Lifehouse. He is able to stand before each participant and show, through his own life, that a better life is available after one has allowed drugs and alcohol to tear them apart. He is able to influence the men from a position of example instead of a new rule enforcer. Mr. Meadows himself struggled with addictions for 24 years. It was after his last period of incarceration that he was able to begin his own journey of sobriety. After re-entering society Mr. Meadows committed himself to never look back and to help others accomplish similar personal victories. During his recovery process, which began in 2008, Mr. Meadows has worked at a local recovery program, became a Men's Chaplain, completed a course in Pastoral Counseling,(ACPE) and achieved his Degree from Mountwest Community and Technical College (emphasis in pastoral care). He credits his continued success to God, the support that has been available to him through local Alcoholics Anonymous and Narcotics Anonymous programs, friends and family, and the availability of sober living facilities. What is THE MOVEMENT- A group of people meeting together, wanting more from life and believing God is the answer. Join us every Monday night at 7:30 PM! Below is a glimpse of Monday night's location. 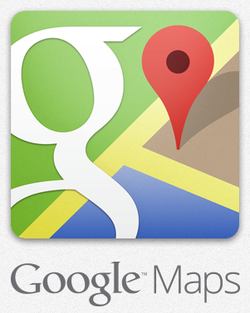 Click the logo below the map for directions in a new tab. Click above for directions to The Movement @ 7:30pm on Monday nights.